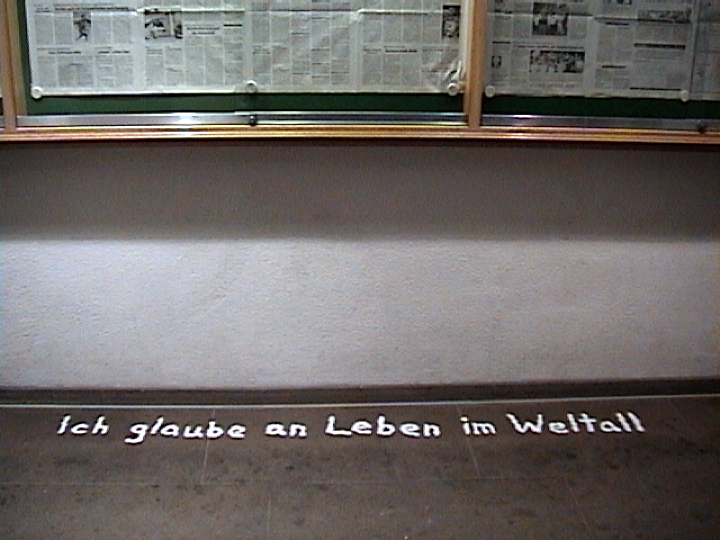 This work was produced during an artist residency in Schwabisch Hall, Germany. Schwabisch Hall is a walled medieval town with a long history of association with the salt trade. Ist die Arbeit Gefahrlich? 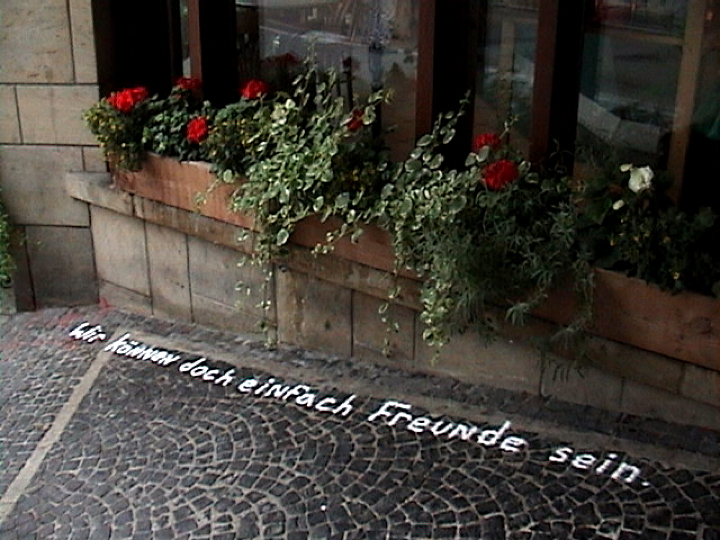 utilized salt, a historically and ritually significant material, in combination with phrases taken from a German-English tourist phrase book to construct a simple interventionist work, from the perspective of a visitor, in the context of an historically and culturally rich small Bavarian town. Location: Front steps of City Hall. 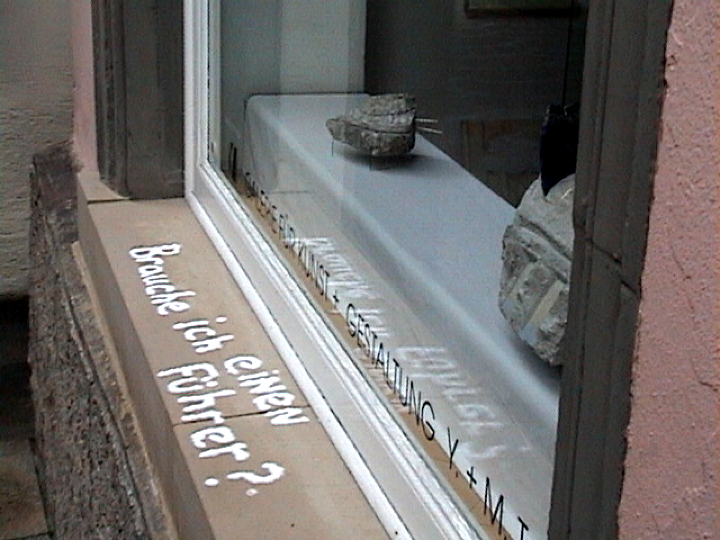 Location: Window sill of a small art gallery. Location: Windowsill of a public women’s restroom. 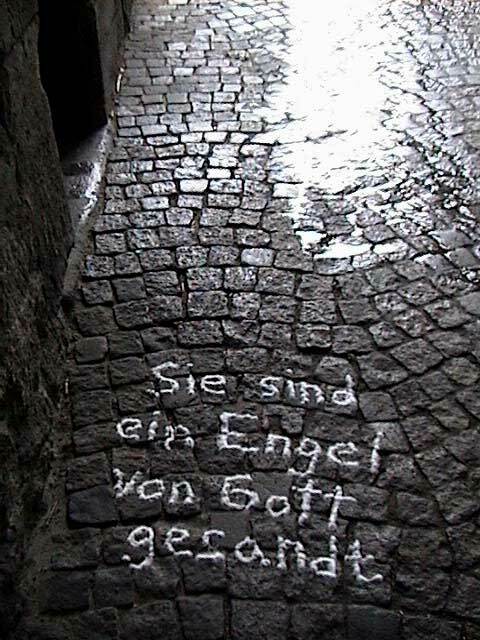 Location: Cobblestone walk in a passage under the local cathedral. 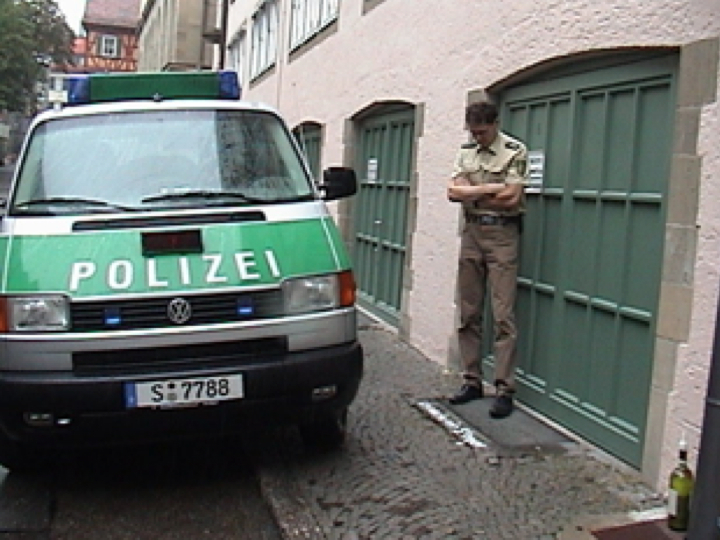 Location: Sidewalk near a police car. Location: Sidewalk outside a bakery/coffeehouse. 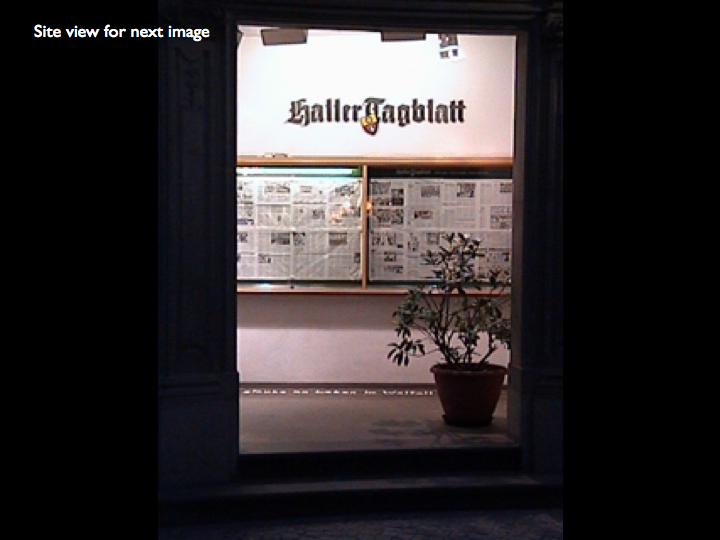 Location: Below the public bulletin board where the daily newspaper was posted.